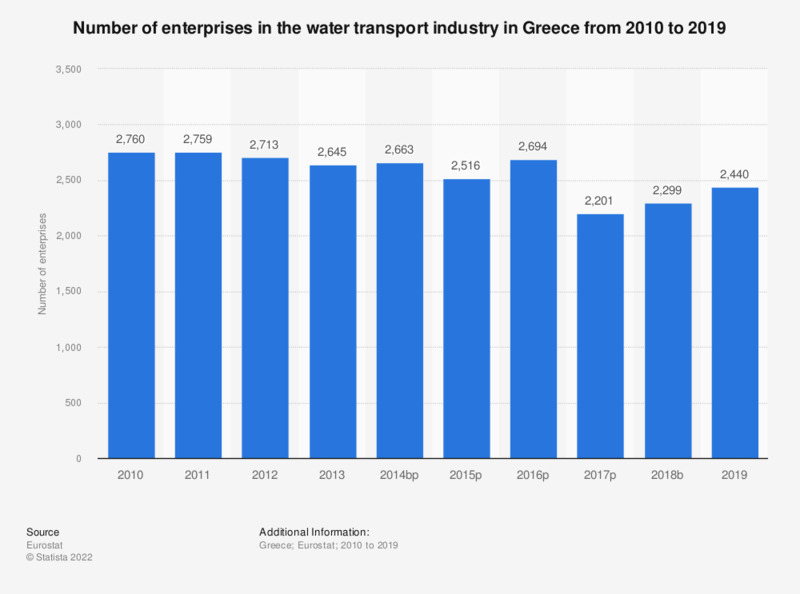 This statistic shows the number of enterprises in the water transport industry in Greece from 2008 to 2014. In 2014, there were 2,648 water transport enterprises in Greece. Data coverage corresponds to Section H50 of NACE Rev 2. Statistics on "Maritime ports in the United Kingdom"